At Write Divas, we understand that there is more to life than shopping, gossiping and being the queens of the literary universe. There is quality editing, as well! We provide editing services to writers of fiction who are serious about improving their work. With over 20 years of combined industry experience, we are a company you can trust. Whether you need an assessment of your manuscript, a content edit, a copy edit or a proofread, we are here to help make your manuscript shine. ​Write Divas offers competitively priced rates for editing services. We strive to offer superior editing at an affordable price. While there will always be someone out there who will do the job for less money and at a very fast pace, oftentimes the quality of the edit suffers. The adage that you get what you pay for is true. Every writer needs an editor, so why not a Diva? We edit grammar, punctuation, spelling, syntax, word choice, and inconsistency while technical streamlining the manuscript. 2 passes and 2 editors. We edit plot, pacing, characterization, word usage, perspective, dialogue, narrative, and consistency while streamlining the manuscript. Then we proofread manuscript after author revisions. We edit grammar, punctuation, spelling and dropped words. We assess manuscript and provide a written report outlining the strengths and weaknesses plus a 30-minute phone call to discuss. We recommend an assessment between the 2nd or 3rd round of revisions. Don't see something that fits your needs? No problem! Just tell the Divas what you'd like. We'd be happy to customize something to fit your needs. 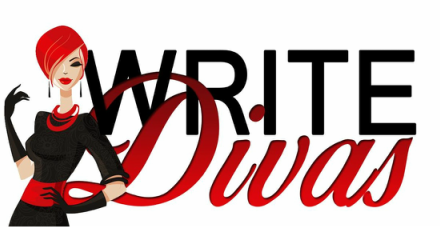 Just contact us using that nifty "Contact" button below or send us an email to Contact@WriteDivas.com! When Will My Edit Be Done? The length of time it takes to do an edit depends on our workload and availability, so standard time frames are difficult to predict. Let us know what your timing is for publishing and we will do our best to meet your needs. Be sure to allow yourself at least a week after the edit has been returned to you to go through your manuscript and make your modifications. Write Divas also recommends you leave at least an additional week after that for your book formatter to work their wonderful magic preparing your book for publication. ﻿Write Divas is committed to providing affordable, high-quality editing services. While no one can guarantee an error-free manuscript, we can guarantee a manuscript that is polished with few grammatical errors. We'd be happy to edit up to 1,000 words for $25. PLUS – Once you have purchased the edit from Write Divas, the $25 will be deducted from the total of your edit! How easy is that! Write Divas invoices through PayPal for safe and secure processing. Payment Plans and eCheck* are available. Minimum of 50% down at the start of edit and 50% due upon completion of your edit. * Please note that eCheck might delay the start date of your edit until the eCheck clears.